BingoPlayersUnion.com • View topic - Should CM's stay at a site with a history of slow or NO pay? Board index » CM’s & CH’s Corner » Let's Talk About CM's!! Should CM's stay at a site with a history of slow or NO pay? Post subject: Should CM's stay at a site with a history of slow or NO pay? 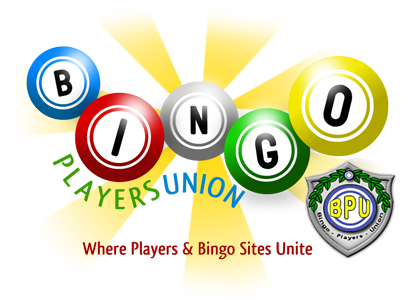 We are experiencing several CM's problems with getting paid from Bingoentertainment. Some stayed longer than others, but the main reason for their quitting was slow or NO pay. I have been told in an email that these hosts would be paid the end of June. The same person, Michael of Bingoentertainment, told me, in an email, that their time had been turned in on the 3rd of June. Then he turns around and tells me that they are having to chase down hours in order to pay the correct amounts. Does it make sense to anyone but me, that if the time had been turned in, there would be a record of who had what hours? It isn't like they get paid in advance for what they do! Below are partial copies of emails supporting our position. I am declining to put the entire emails because some dealt with more than one issue. These emails belong to me and I can do as I wish with them. this? She has also put a post in forum. CM but resigned without notice after the head CM quit. left. What happens if she writes to you? Should we pay or not? I would like your views pls. >> entitled to get the pay that is coming to them. >> will personally do the damage control and archive the thread. >> have been awesome at handling money issues. >> was slack in her job, she should have been let go before she quit. > it was sent out on the 5th of June and all the CM's knew that. CM's in question and they shall receive their payments in due course. performance they should have been let go earlier. notice to me. Do you like to get paid for working? right and I will go away. Subject: Re: Gala and Cashgrade... how deep is it? would have brought proceedings against them. cashgrade search the registrar of companies. to the full extent if need be. hours at the start of each month. With June they were submitted on the 3rd. The 3rd was a Friday. We began to process payments on the 6th. that I will take for granted. This is what the ex cms have done. It still seems to me there should be documentation of how much each CM got!! There ought to be NO "calculations" happening, just pay them what you paid your friend Vadim! Notice the still currently emplyed CM's have been paid, only those who are not there anymore are waiting. thru legal proceedings for quitting a job! Too funny! told you short and sweet. I do not like being treated like I am stupid. that I am most proud of is perserverance! you keep asking us for that amount as we have already paid it. anyone else wants to bring an action against them then please do. Now members, if you were the CM's involved in this, would you quit or keep working for no pay? If Bingoentertainment sent the money to a processor of THEIR choice, one who they LED their players and CM's to and this processor did not pay these people, do you feel Binngoentertainment ought to stand behind their business by making it right? You can see the different stories told by Michael as if he forgot what he told the time before. Same old same old.... true colors show if we wait long enough!